Watershed Health Monitoring: Emerging Techno Logies: 9781566769679 Hardcover - LIMEROCK BOOKS INC.
Watershed Health Monitoring: Emerging Technologies is a concise reference that defines the concept of watershed health and explains that monitoring the health of watersheds is a critical precursor to adaptive resource management on a watershed basis. The focus of the text is a clear description of an innovative &quot;Closed Loop&quot; model that specifies four key aspects of successful monitoring programs: political linkages and support, sound scientific assessment techniques, a community education and awareness component; and a sustainable cost-recovery framework achieved through partnership.<br /><br />Divided into two sections, the book begins with an introduction that defines watershed health, explains how monitoring fits into watershed planning and management, describes frequent shortfalls of monitoring programs around the world (with an emphasis on North America) and proposes a &quot;Closed Loop&quot; approach that will help ensure successful programs. Subsequent chapters detail each component of the &quot;Closed Loop&quot; model with special emphasis on scientific assessment. 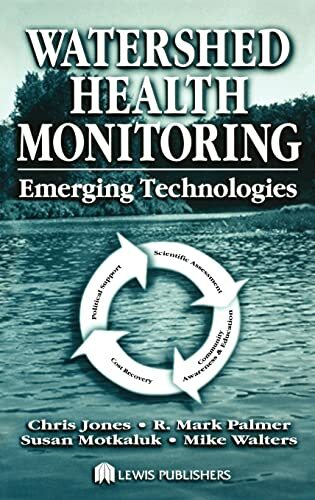 The second part features a set of six case studies that describe successful real-world applications of the &quot;Closed Loop&quot; approach to watershed monitoring.<br /><br />Written in an easily understood manner with the practitioner in mind, Watershed Health Monitoring balances the need for a detailed yet concise treatment of the topic of watershed health monitoring. It is the first book to recognize the multidisciplinary nature of successful monitoring programs-programs that go far beyond science.